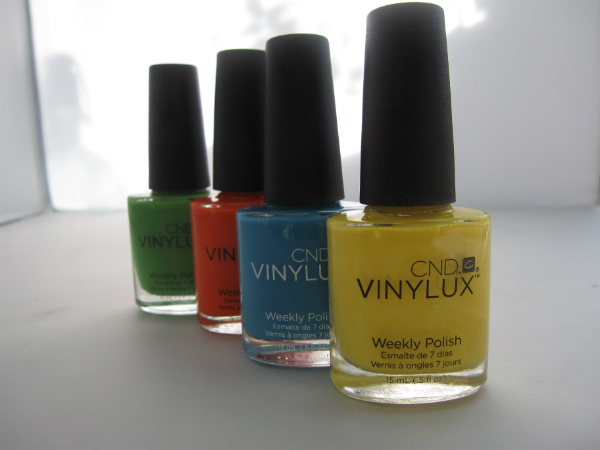 Delicious shades from CND Vinylux for Summer 2014 – perfectly named as the Paradise Collection. I can see I’m just going to have to get my head around the yellow nail as more and more emerge for spring and summer. The shades are, from front to back: Bicycle Yellow, Cerulean Sea, Electric Orange and Lush Tropics – all beautifully bright and intense. If you’re not feeling the love for the electric brights, two more shades, Sultry Sunset (front) and Tango Passion are more toned down and have a metallic element. Juicy, hey? 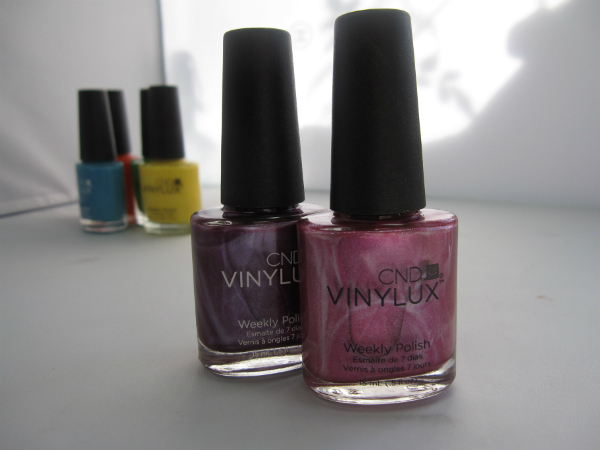 If you’re not familiar with CDN Vinylux, it’s a week-long lasting polish that I’m a big fan of for those very busy weeks where I know I’m not going to get a chance re-manicure. You do need to have the top coat that self-cures so there is no need for lamps – I find the shine very good and on the whole, it really does last a full week. 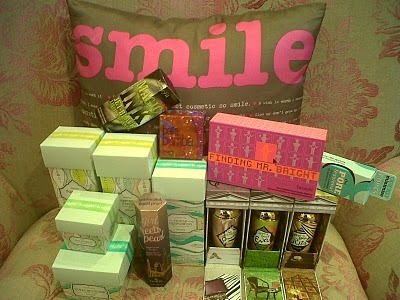 The new shades are out now – £9.95 each and you can check HERE for your nearest salon stockist. I love the pink/purple shades, they are very pretty! 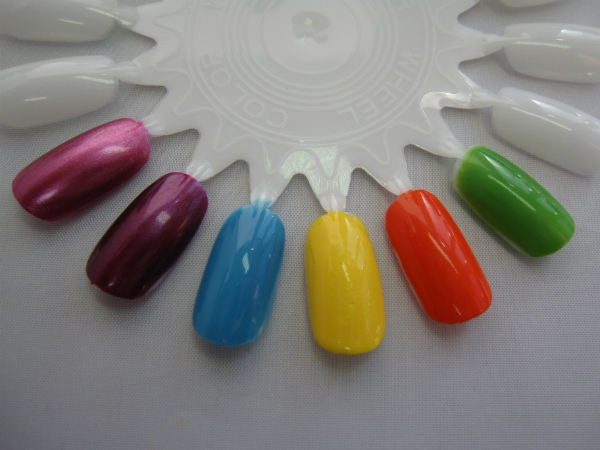 would definitely like to get my hands on these, my nail finishes never stretch to the full week! I love the sultry sunset one! These are so lush. Love those brights, don’t usually do yellow but I like the look of this one. 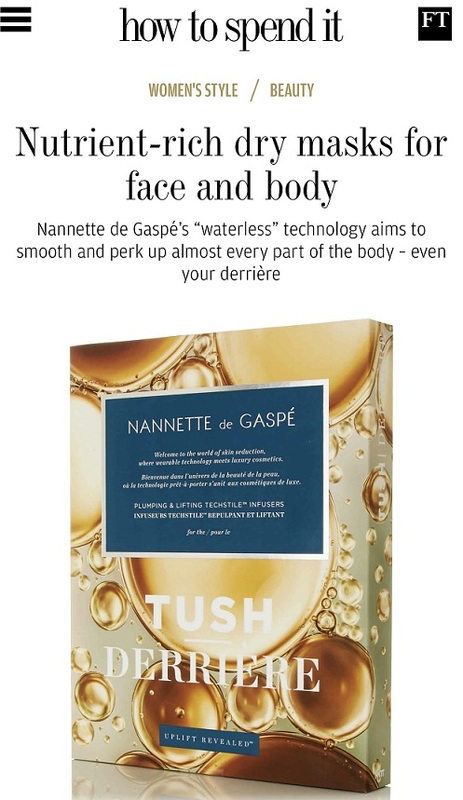 Remind me of Opal Fruit packaging or ice lollies.